A. Likud leader Benjamin Netanyahu will form the next coalition. He won. And he doesn’t have to compromise with the center: pending final results, he will have around 65 members of Knesset in his coalition, all from the right and religious factions. This coalition will be even more right-wing than the outgoing one. Netanyahu has already declared he has no intention of forming a coalition with Blue-White--an obvious alternative if he were seeking to strike a more moderate stance. His victory follows the right-nationalist-populist-religious trend of his allies around the world: Trump, Putin, Modi, Bolsonaro, Orban--sadly, the list keeps growing. This will be Netanyahu’s fifth government. By summer he will have served as prime minister longer than David Ben-Gurion. Benny Gantz “won” even though he will be in the opposition. In the space of six weeks, he put together a centrist party whose votes--35 mandates at last count--equal those of the Likud. This is a huge achievement. 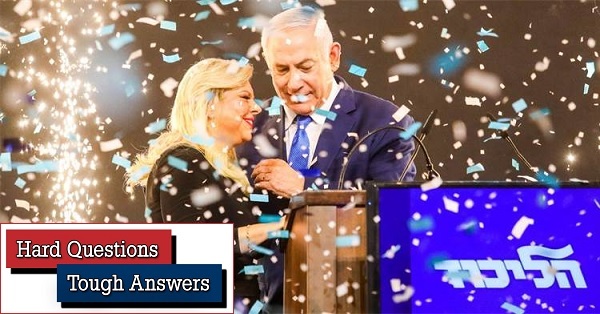 If, within a year or so, Netanyahu is forced to resign after being indicted and the coalition then dissolves into some sort of feeding frenzy, Gantz’s Blue-White party could still play a role. Meanwhile, however, Gantz faces the immediate challenge of holding the party’s disparate right, center and left elements together despite their defeat. Thus far he has proved to be a highly accomplished rookie politician. Q. What will be Netanyahu’s biggest challenges? A. He is a masterful politician and should be able to keep even his extreme right-wingers--the fascists and Kahanists of the Union of Right-Wing Parties--in check, although under certain circumstances they could withhold their support unless given key ministries like education and justice. But Netanyahu can look forward to two more problematic challenges. One is indictment, which is likely to follow roughly a year of hearings in which Netanyahu’s lawyers try, probably fruitlessly, to argue with the attorney general that his corruption charges are unsubstantiated. In the interim, Netanyahu’s new-old coalition will try to legislate some sort of immunity for him as long as he is in office. On this issue it is not certain that he will enjoy the support of everyone in his party (arch-rival Gideon Saar for example) or all of his coalition partners, e.g. Kachlon’s Kulanu and Lieberman’s Yisrael Beitenu. Further, the High Court of Justice is more than likely to strike down a retroactive immunity law. A second challenge could be President Trump’s “deal of the century” for Israeli-Palestinian peace, which is anticipated in the weeks ahead. Assuming that Trump’s offer will be rejected flat out by the Palestinian leadership and at least some Arab states, Netanyahu will have easier going here. He can persuade even the Kahanists in his coalition to reply “yes, but” to Trump and wait for the US initiative to fail. Q. At the end of the day, in the eyes of voters, what were these elections really about? A. First, what kind of Israel do you want? Do you support traditional liberal values regarding institutions like the justice and education systems, the integrity of gatekeepers like the attorney general, the police and the IDF, and the independence of the media? Or do you prefer populist reforms that reflect radical nationalist right-religious values. Note that in election campaigning it was only leftist Meretz and moderate center-right party Kulanu that invoked the liberal legacy of Likud icon Menachem Begin. Not the Likud. And note that the right-wing Likud and its proto-fascist satellite parties have been in power for most of the last 42 years, but only recently have felt sufficiently free of Begin’s legacy to seek energetically to dismantle the rule of law. Second, is PM Benjamin Netanyahu fit to rule? Is he a criminal? Even if technically he is, do I care? And do I care that he and his family behave like royalty--aggrandizing wealth and belittling the public? Are those seeking to replace him worth the risk of dumping him? Third, were the past 10 years of Netanyahu’s rule qualitatively as good as he claims? The economy is booming, yet income gaps are growing and vital infrastructure--transportation, health, education--has been defunded or mismanaged. Netanyahu may be a “global leader”, but only because his friends and allies are Trump, Putin and the other extreme right-wingers mentioned above. He has advanced Israel’s status as a “Jewish state”, but only orthodox Jewish--in the education system, at the Western Wall and the public sphere and to some extent in Diaspora relations--and at the expense of democracy and non-Jewish citizens. He managed our conflicts in Syria, Lebanon and Gaza, but in the meantime expanded West Bank settlement to the extent of making annexation there a “legitimate” act that threatens to hasten Israel’s evolution into a binational state. Bear in mind that all these factors gave Netanyahu an inevitable incumbent’s advantage in the elections. He could organize photo-ops with Trump, Putin, Bolsonaro and Sultan Qaboos of Oman. He could make sure that Trump recognized Israeli sovereignty on the Golan and that Putin repatriated the body of a soldier killed in Lebanon in 1982, just days before elections. He could bribe Hamas in Gaza to stop firing rockets and not disrupt the elections. Q. So the election was about Netanyahu and what kind of Israel you want. What was it not about? What important issues were pushed to the sidelines? A. This election was not about peace, the Palestinians, equal rights, the role of religion, the economy and collapsing infrastructure. Unless, of course, you are among approximately the third of voters who spread their votes among the smaller parties. Here, each party had a very specific, issue-oriented and value-oriented agenda. The ultra-orthodox and the two Arab lists need little explaining, though it bears mentioning that some prominent left-wing Jews voted for the more moderate Arab list as a gesture toward speeding Arab integration into the Israeli mainstream in the name of democracy and liberalism. Meretz was the only primarily Jewish party that advocated two-states without qualifiers. You voted Zehut (“identity”) if you favored a libertarian approach--civil marriage, legal cannabis--or you believed in a Jewish takeover of the Temple Mount and expelling Arabs from the West Bank: quite a combination, though at the time of writing Zehut was well below the four-mandate threshold. You voted for a list to the right of the Likud if you are messianic, fascist, fear an independent judicial system, favor the Greater Land of Israel, etc. Q. How seriously do you take Netanyahu’s pledge to annex West Bank territories? A. This was part and parcel of Netanyahu’s last-minute appeal to settlers and their supporters to vote Likud rather than a party to its right. It was a transparent gesture that should not be taken too seriously. Besides, Netanyahu spoke once about this in very general terms and once with reference to green-line settlement-bloc settlements like Maale Adumim just east of Jerusalem. Benny Gantz also proposed to annex settlement blocs, albeit in the context of a plan that factors in failed negotiations with the Palestinians and a withdrawal from most of the West Bank. Here a lot depends on Trump’s much anticipated “deal of the century”. 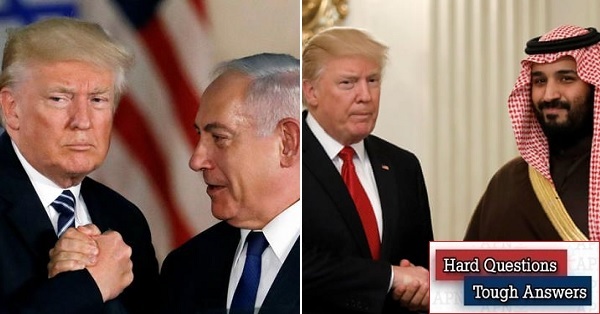 Assuming he proposes that parts of the West Bank be attached to Israel within the framework of a final settlement, and assuming--with a high degree of certainty--that the Palestinian leadership rejects the deal, then we indeed may witness a move by Netanyahu to annex unilaterally, with Trump’s tacit support, those areas that the US president assigns to Israel in his “deal”. Q. Can you point to any unique characteristics of these elections that might be relevant elsewhere? A. Polling--endless, almost daily polls--was done virtually: nothing face-to-face, few if any direct phone conversations. When you are told that a poll reflects the views of around 600 people out of 3,000 approached--the others did not respond to a text, WhatsApp or email appeal--you begin to wonder whether the four percent sampling error the pollsters cite can conceivably be accurate. Beyond the polling factor, we witnessed lots and lots of fake news, anonymous fake polls and the like. A. The Zionist left--Labor, Meretz--is in serious trouble. Together these two parties hope to garner around 11 mandates, a new and dangerous low, with Meretz teetering at the four-mandate threshold. One outcome could be merger between the two. Labor leader Avi Gabai will almost certainly be pushed out of office. Some will consider the possibility of merging with more moderate Arab politicians like Ahmed Tibi to form a genuine Jewish-Arab party next time around. By the same token, those parties with “right” in their titles--Bennet and Shaked’s New Right and the Kahanist-supported Union of Right-Wing Parties whose creation Netanyahu sponsored--also fared poorly, with the former struggling to reach the four-mandate threshold at the time of writing. The difference between them and the Zionist left is that Netanyahu needs them for his coalition, where they can bargain for significant portfolios and budgets. A. One way or another, with or without indictments and with or without the deal of the century, we will slide further down the slippery slope toward a one-state reality that robs Israel of its democratic, rule-of-law foundations. Jewish state? Only if you support an ultra-nationalist and increasingly orthodox-religious version. Sadly, Israel will look more like some of its neighbors. The gap between it and the American Jewish mainstream will loom ever wider.